A full emergency kit was one of the first things I considered when I was building my EDC (Every Day Carry) gear. It won’t hurt if you have something that will save yourself one day. Like any novice, I was wondering how I would put my kit together. Would I buy one item at a time, or simply buy a whole retail kit? Fast forward to today. My EDC pack is basic; yes, I do carry knives, a multi-tool, paracords, and even a first aid kit. I've even got pens and notes to help me in my daily office tasks. 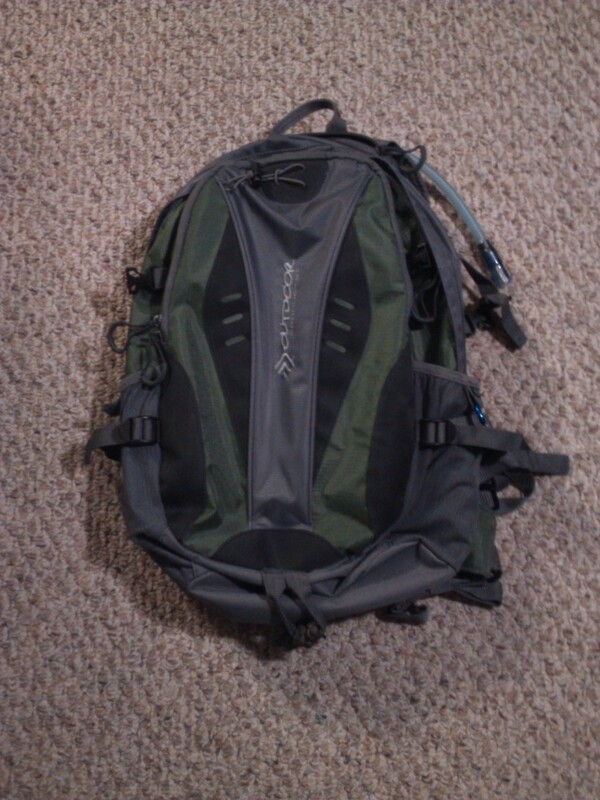 But my friends often say that my gear vastly improved since they last saw what I carried three years ago. No more CCC and mall knock-offs!. Slowly putting together an EDC gear kit one at a time with quality tools is the best approach. 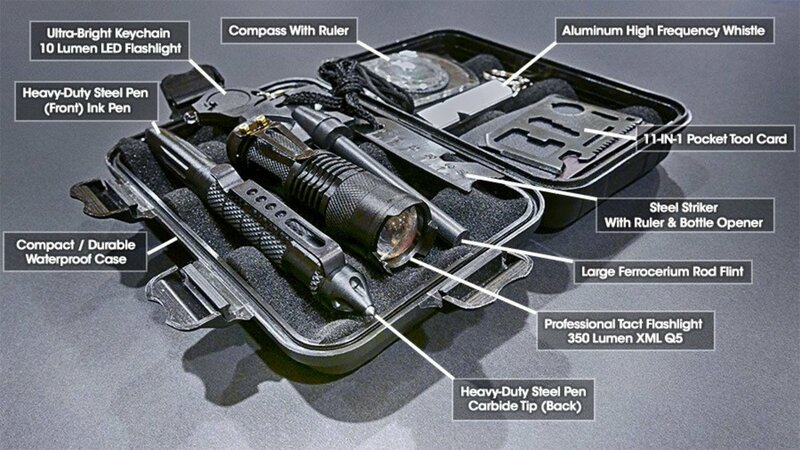 One even joked that I never fell for one of those tacticool survival kit they came across in a social media ad. What did they say? Being not a fan of Facebook ads, I often scroll past one if it appears in my feed. I wondered. Until someone showed me the actual ad from this equipment store Stealth Angel. I do have problems with their company name, and we will get to that later. I paid a visit to their Facebook page and website to get an idea of who they are. And like my friends said, they claim to be the premier site to find essential outdoor and survival equipment, an online shop for your outdoor and survival needs. 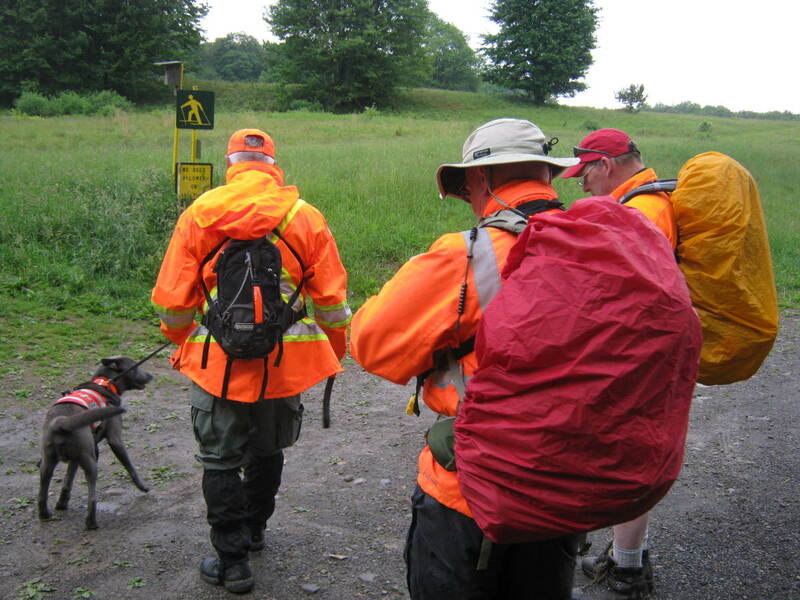 Under their brand, they provide bags, cases, coolers, outdoor gears, flashlights and optics. But my friends know them very well by their somewhat outrageous looking survival kit. It popped out in corners of their news feed as a paid ad: this curious dark colored box with a collection of gadgets inside. The kit, as what's presented in their website. Their survival kit comes in different versions, but has became familiar to the online world as their basic EDC kit. Inside a waterproof plastic case is an 8-piece gadget collection of supposedly survival equipment. First, it has a flashlight. A supposedly professional tactical light, complete with strike bezel. According to them, it could blast a 350-Lumen light. It comes in black. To complement the flashlight, the kit also has a key-chain light rated at 10 Lumens. 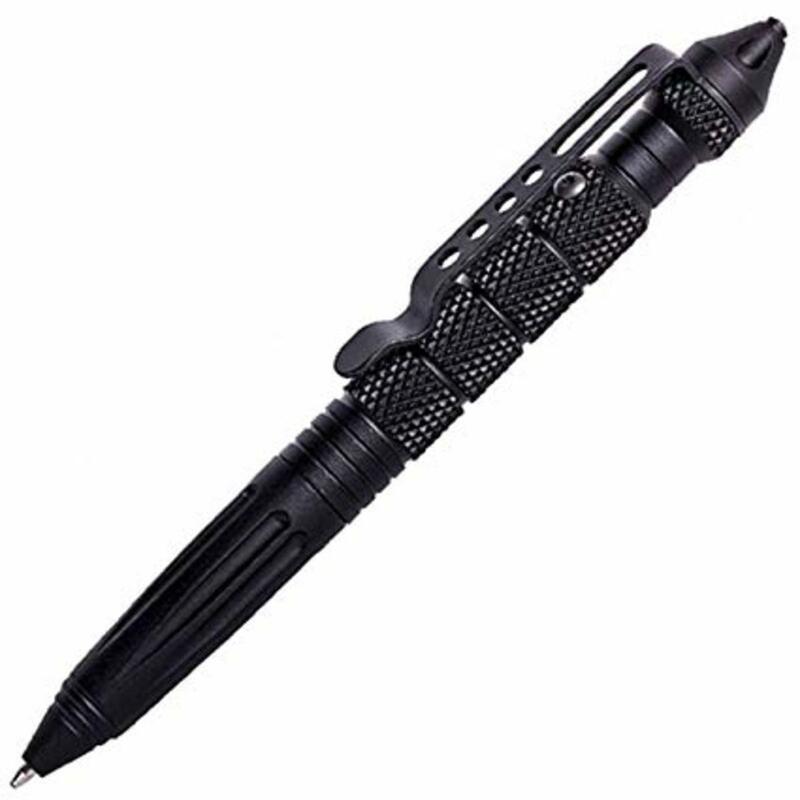 Then there is the tactical pen, with a glass-breaker carbide tip. 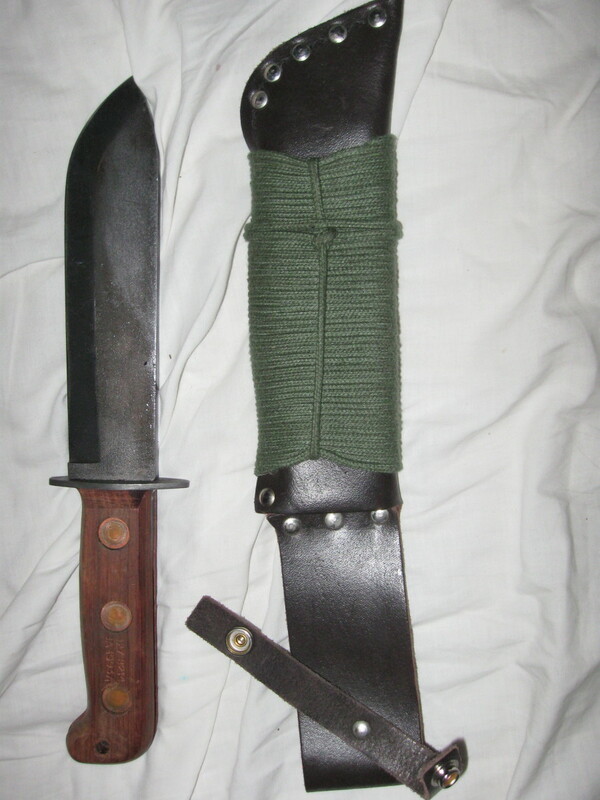 Ideal to escape from a wrecked vehicle or as a means of self defense. To start a fire, the kit also has a ferrocerium rod flint with a striker/ruler/bottle opener. The kit also comes with a compass and a high frequency whistle. Lastly is a card multi-tool, with implements like a saw, can opener and wrench. They looked cheap, but at least they work. My friends tested the fire starter and it could make fire. They had some difficulties but at least it sparked. Like any card tool, they expected the Stealth Angel card tool to be awkward. It could open cans and saw wood, but it was clear that it couldn’t replace a fully functional tool and multi-tool (like the Leatherman). The flashlight had a minor problem. The kit didn’t come with a battery (so much for an emergency kit). But then it did light up once we got a spare battery from the store. The key-chain light functioned as well (and it looked like a kid’s toy) and the same could be said for the whistle. The compass looked basic, but my friends were doubtful about the tactical pen. It had a tendency to jam when they twisted it open to deploy the writing tip. A few days later, the ink dried. They handed me their kit, and after seeing it myself I became equally doubtful. A real UZI tactical pen. These are my first concerns about their gadgets: some items inside their black box are clones. The tactical pen is a knock-off of a legitimately durable tactical pen, the UZI. The flashlight is a generic gas station light you will get in a mall stall. It resembles the SIPIK SK68 and the identical Ultrafire. Then there is the unbranded card tool. I’m seeing a lot of identical products in the market, and I’m not sure which is legit. Maybe it’s a knock-off of the Wallet Ninja brand, but I can’t tell. My biggest concern with these bootleg products is the quality. Sure, they work, but how long? What will happened if they got stuck in their box for a long time? Will they work? Will they still work after repeated use? My experiences with counterfeit clone knives gave me doubts about the reliability of the knock-offs. 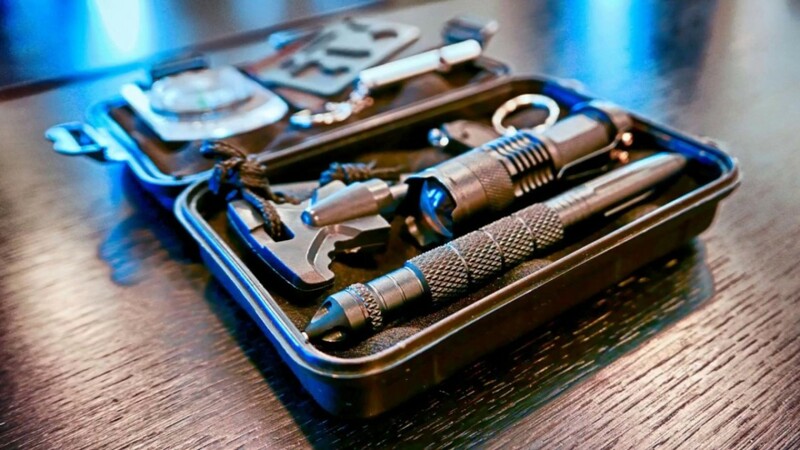 At first glance, it looks like an assassin kit. I mentioned earlier that I have problems with the brand name. If I’m a novice buyer and I hear the name Stealth Angel for the first time, I will probably think that they sell weapons and military stuffs. The overly tacticool name will bring this impression that the product is gimmicky. I mean come on, if they are selling survival kits, why made it sounds aggressive. The outside appearance of their kit is also a major concern. The black box with the aggressive font will make it appear that it is a gun case. Not a good idea nowadays when people are getting sensitive. Note that the kit has a real weapon inside. The tactical pen is a less than lethal weapon, but it is still a weapon. I also suggest that they must swap their dark, militarized color to a more readily visible safety color (orange or bright red). If I’m in an emergency and I must reach for my survival kit, the black color will give me problems. In the dark of the night it will be hard to find, and even in daylight if you drop it on a foliage covered ground. 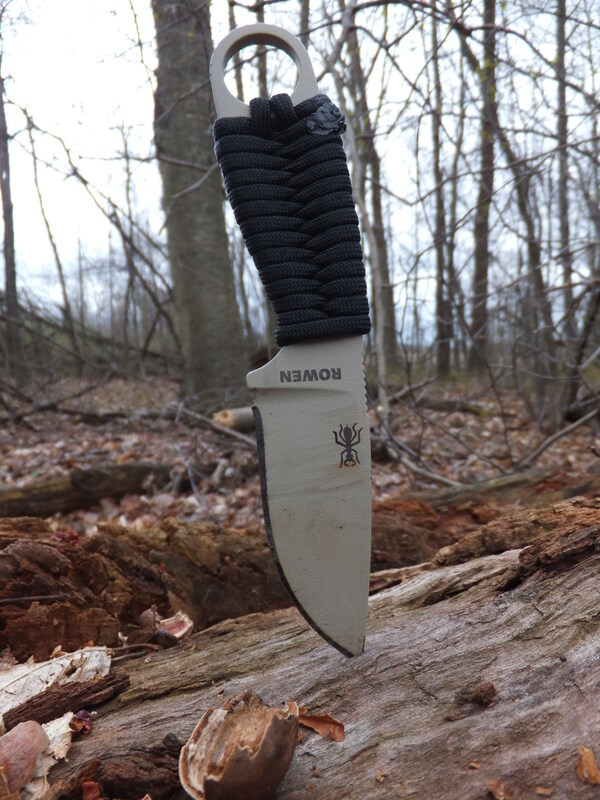 But then if you are a novice survivalist, can you build the same, or even better survival kit? 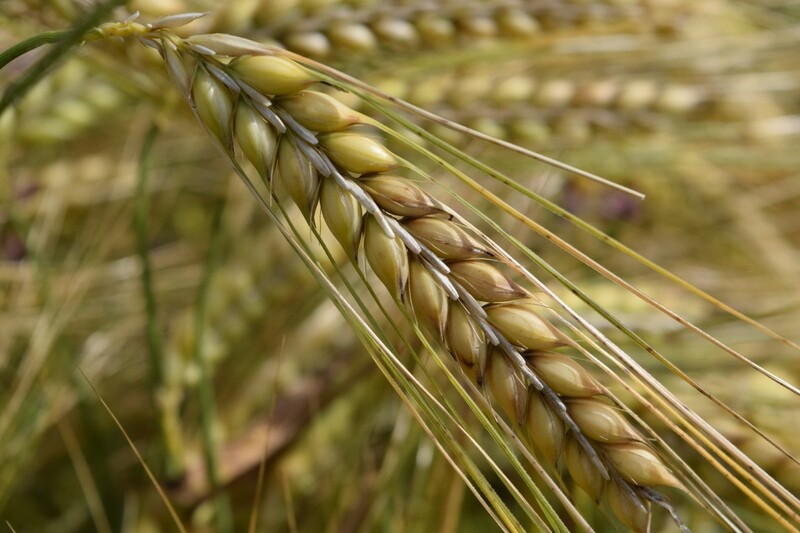 Most of the time you must pay more for quality. Through the years I managed to obtain quality blades, like my personal favorite the Ontario Rat 1. I also have a Ganzo multi-tool, an Olight keychain light, a whistle plus extra lighters and fire starters. Yes, they cost more, but they are proven tools and I could depend my life on those. 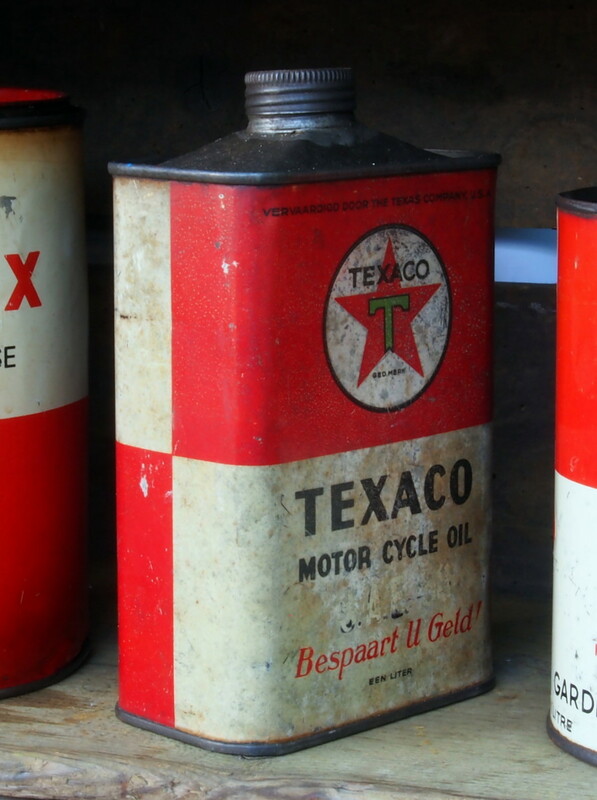 But is it possible to build your own survival kit on the same price? 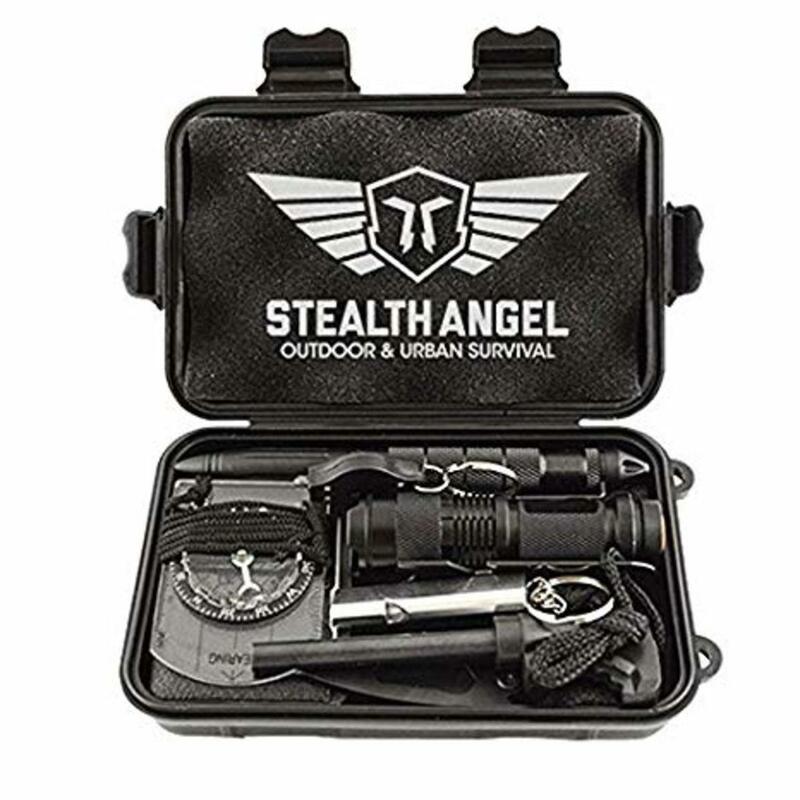 A basic Stealth Angel kit cost 20 dollars. When putting together your own kit, the more expensive items will be the glass breaker, the flashlight and the multi-tool. Unfortunately, one really needs to pay more, as a quality flashlight could cost you 20 dollars already. And a multi-tool could costs you more. With price aside, I still insist on building your kit with quality products than buying cheap, but gimmicky packs. Maybe I could recommend this kit for first time EDC practitioners as a temporary survival kit. You may keep this for a time being as you save for something hardier and with better quality. And being made for emergency means that the kit is for a short term use only. Long term quality won’t matter if the chance of getting stuck in the forest is already too low. 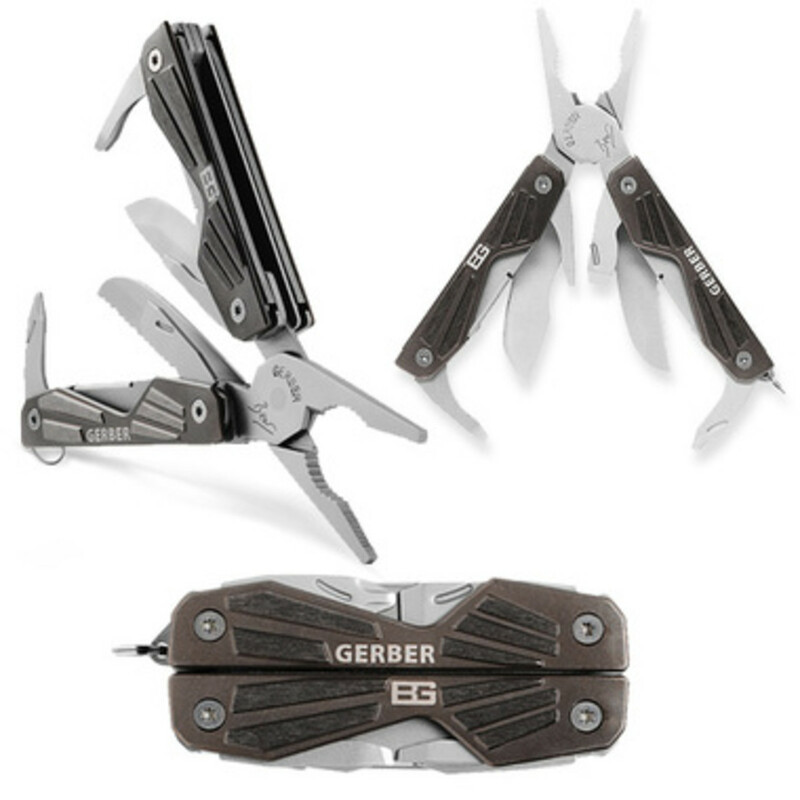 Gerber Bear Grylls Compact Multi-Tool: Is It Worth Its Weight?